I agree...but as I said, I think we can dismiss anything Joe Bastardi says as "wishcasting"...and of little merit. He is looking for anything that he can pin his hopes on to stop the warm pattern this winter for much of the USA. However, I do think the first REAL arctic outbreak of this cold season will drop into the interior Northwest and the northern Rockies by late this week. By evening the day after Thanksgiving cold air will pour down out of an arctic high and plunge all the way west to almost the coast of the PNW and deep down into the central deserts in New Mexico . At least one day will see lows near 20 degrees below normal. 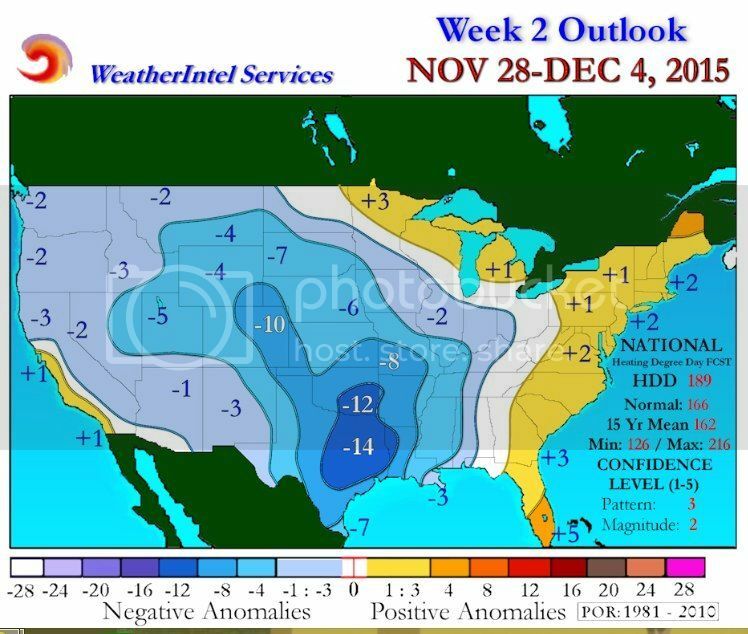 The forecast temp anomalies seem to show this - though they are too far east into Texas. 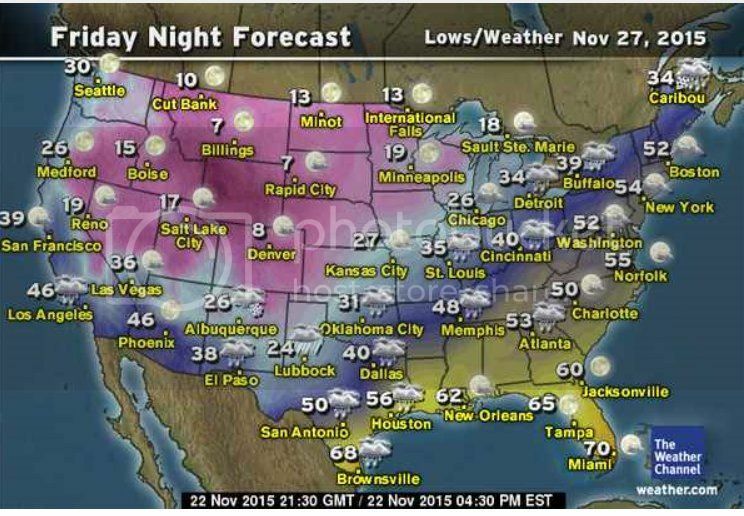 Some of the graphic forecast maps seem to show it too - with lows Friday night in the teens and single numbers. So if forecast holds, quick cold shot for interior West, normal middle, and continued warm East later the week into next weekend.